This lightweight jacket is perfect for layering in summer air conditioning and cool summer nights, and is a go-to for fall weather! Pre-order yours today for FREE SHIPPING! All proceeds benefit recess outreach to kids + families in need. Women’s fit – true to size. Available in grey or lime green, our soft + comfortable t-shirt allows you to wear the word in style! 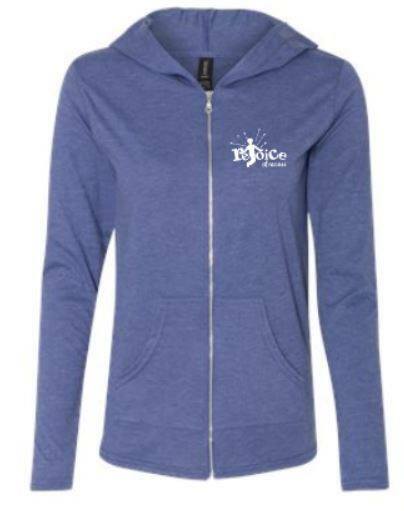 Perfect for everyday, family outings, Christian t-shirt day at school, and of course – Recess! Pre-order yours today for FREE SHIPPING! All proceeds benefit recess outreach to kids + families in need. 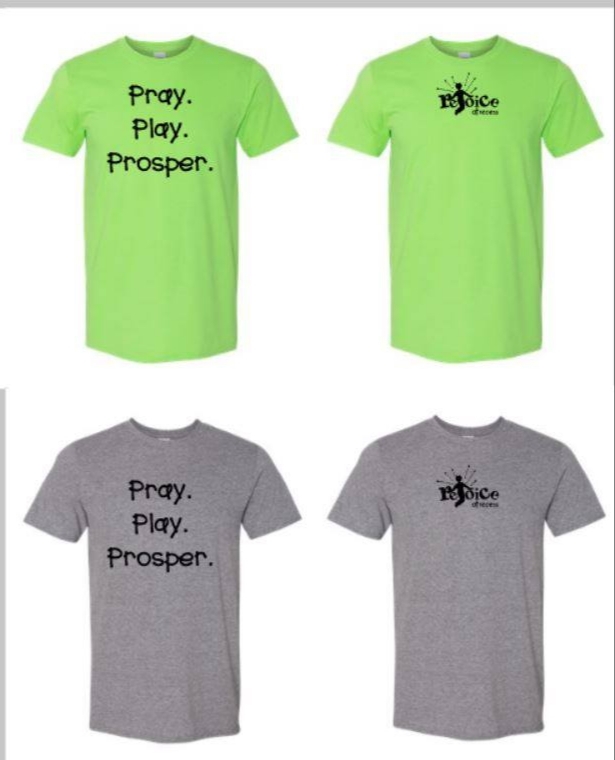 Available in grey or lime green, our soft + comfortable t-shirt allows your child to wear the word in style! 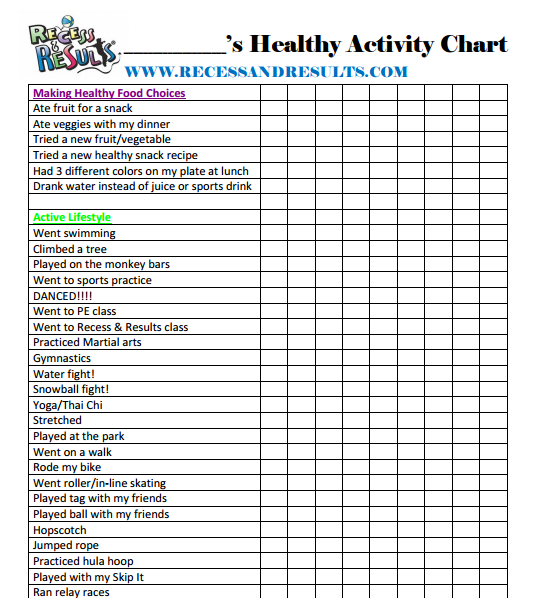 Perfect for everyday play, family outings, Christian t-shirt day at school, and of course – Recess! Pre-order yours today for FREE SHIPPING! All proceeds benefit recess outreach to kids + families in need. 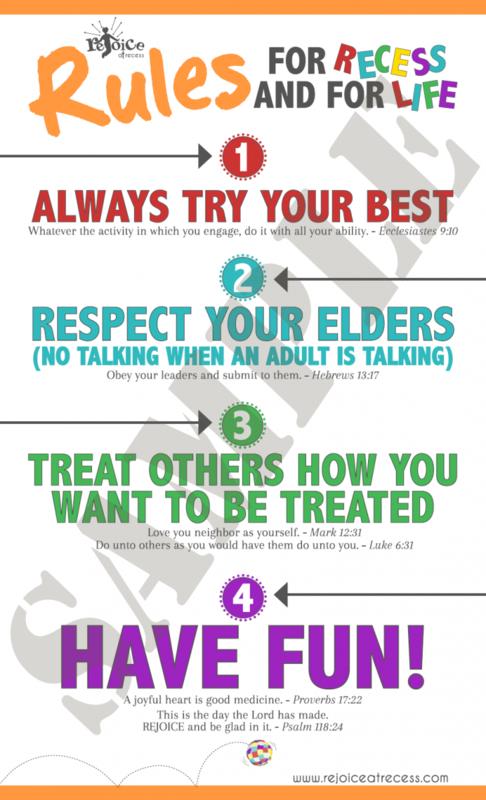 Perfect for kids room, playroom, classroom, or family room, our “rules” poster provides 4 basic guidelines individuals of all ages should follow in play and in life! Available with or without bible verses. Instant download now only $10! Tired of trying to force vegetables down your families throats? You are not alone! Moms everywhere understand fruits and vegetables are the most neglected foods in our families, and we yearn for an easy solution to getting our kids + husbands to eat them for we know how important they are to health and disease prevention. The struggle is real but Juice Plus offers a simple solution. 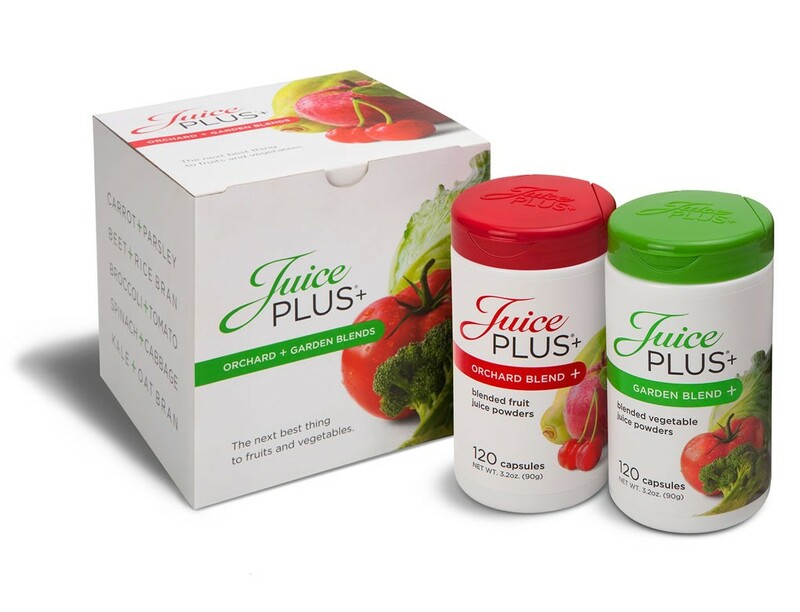 Become a part of the Children’s Health Study and get Juice Plus free for your kids!